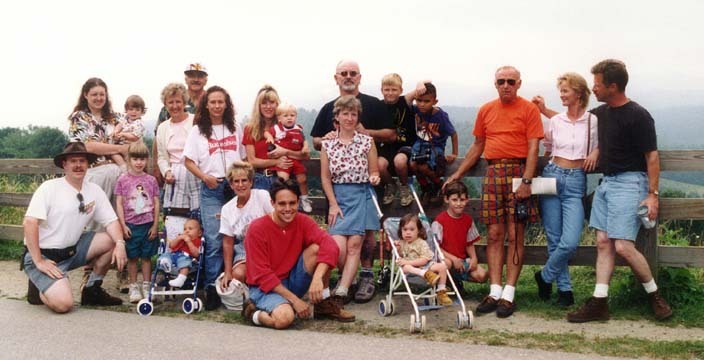 Date: 1995 - Almost all of us! Description: Taken in North Carolina on a family vacation. Also in photo David (Debbie's Son) 6th from right, back row, Keegan Swane (Maureen's son)3rd from left, front row, Chris Flounders 5th from left, front row.